When I was in junior high, the school had a teletype hooked up to a mainframe, and a paper tape machine to save and read files. I did some toy BASIC programming on that; it was fun, I guess, but slow, and loud. (Did you know that Control-G (BEL) actually rang a metal bell on the teletype?). It was also fairly obsolete technology. For 9th grade, my school bought a TRS-80 Model II with a cassette drive, which I spent a lot of time on. However, one of my friends kept bad-mouthing it; his family bought him an Apple ][, and two Disk ][ 5.25″ floppy drives. He went on and on about this computer. High school also had a TRS-80 Model II. I played with an Apple ][ in a computer store, and was impressed that programs in BASIC on the Apple ][ were saved with less space than on the TRS 80 (they probably tokenized it). My first year at Rice, Apple introduced Macintosh. Rice was one of the dozen or so schools that got first access; a few weeks later, Macs appeared on the computer building. I was spellbound. I loved it. I spent hours and hours playing with MacPaint. I did all of my papers with MacWrite. There was no way I could afford one for myself, so I could not get into programming it at that time, but as they quickly evolved while I was in college into real productivity machines, I wanted one more and more. Even more than that, though, I decided I wanted to write software for it, preferably at Apple. With my grades, I did not figure that the last part was in the cards, but one can dream. 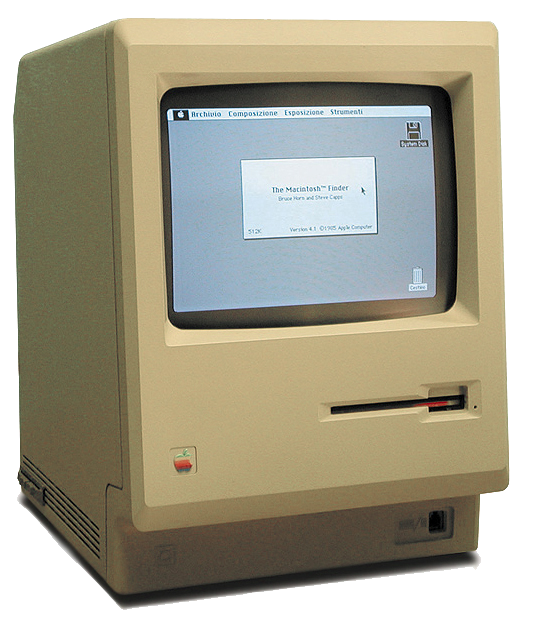 My last year at Rice, I ended up working on the Apple ][GS, which at that point, had a Mac-clone operating system. So I kind of learned the basics of Mac programming working on GSOS writing AppleWorks GS. That company was bought by Claris, which I talked about here. At Claris, after AppleWorks GS shipped and was end-of-lifed, I ended up working on the Mac on FileMaker Pro. I also worked on the Windows port of FileMaker, and then later, when the Mac moved processors from the Motorola MC 68000 family to the Power PC family, I did the primary Power PC port. When I first started at Claris, it was a subsidiary of Apple, but an independent company, intent on going public. Apple changed its mind in 1991, much to everybody’s chagrin. However, some good came out of it for us Claris people. The first is that, as a result of actually working for Apple, we got sabbaticals, six paid weeks of every five years in addition to the vacation time we accumulated. (Those are gone now). The second big thing, though, is we got discounted prices on Apple hardware. There were three levels. One was called “2nd discount”, which was a small discount. People would buy computers for friends with that one. One was the “1st discount”. We got one of those/year, and it was a pretty substantial discount. But the real prize was the Loan-To-Own (they got rid of this later as well). Once in your entire career at Apple, you could pay an upfront fee of basically manufacturing cost, and if you kept it for a year, and stayed employed at Apple for a year, you got to keep it. If you left early, you had to pay the difference between the Loan-To-Own price, and the 1st discount price. You were also not supposed to sell a Loan-to-Own before the year was up. I know of one person who was walked out the door after Apple discovered that they had posted their Loan-to-Own for sale on Usenet. In 1990, I finally got my own computer. I got a Mac IIci, with 8 MB RAM, an 80 MB internal hard drive, an Apple 15″ color monitor, and an Apple Portrait Display. And I have been a Mac owner ever since, although that IIci is long gone. So, yeah, I live and breathe Apple to this day. And I was definitely interested. The interview was at the Infinite Loop campus, which I had last visited in 1996, when I purchased my Power Mac 8600/300 on my last day at Claris. I was shown into a conference room in Building 2, where I met the hiring manager, and one of the lead compiler engineers. The hiring manager talked to me about project manager stuff, planning work, tracking it, process, etc. The compiler guy grilled me about the C language. I thought I did OK. At the end, the hiring manager said he would call me with next steps. On the way out the door, while I was there, I ducked into the Company Store, in Building 1. This is where one used to buy computers as employees. Now, it contained software, cables, and souvenirs (tee shirts, golf balls, etc), and computers were sold via an internal website. While I as in there, a group of people came in. I looked at them closer after a few minutes. There were about six people, mixed ethnicity, longish hair. And I realized that they were a band from the way they were dressed and the way they talked. I did not find anything I wanted to buy. On my way out the door, an Apple HR-looking person was escorting Lou Rawls into the store. It was his band that was already in there. Yeah, Apple has always been cool. 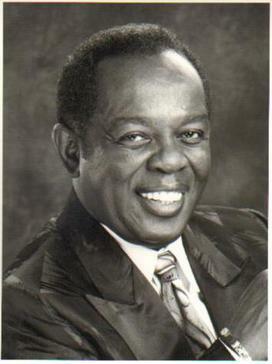 You may be cool, but you’re not Lou Rawls on the Apple Campus cool. Alas, nobody ever called me about this position again.